Is this the most beautiful Porsche RSK? Anything automotive may appear here - new car reviews, car shows, editorials on automotive items, working on my cars, just about any automotive topic I want to write about. Your comments are always welcome. I encourage reprinting of my articles providing proper attribution is given and notification is provided. 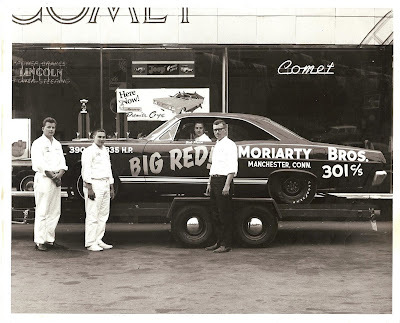 The picture is of Moriarty Bros. "Big Red" 1966 Comet GT. I worked at Moriarty Bros., Manchester, CT way back but had nothing to do with Big Red. The Porsche RSK is one of my favorite cars of all times and this example is in my opinion perhaps the most beautiful RSK. Now if I only had a spare $3-$4,000,000 it could be mine! All of this is from Gooding & Company. 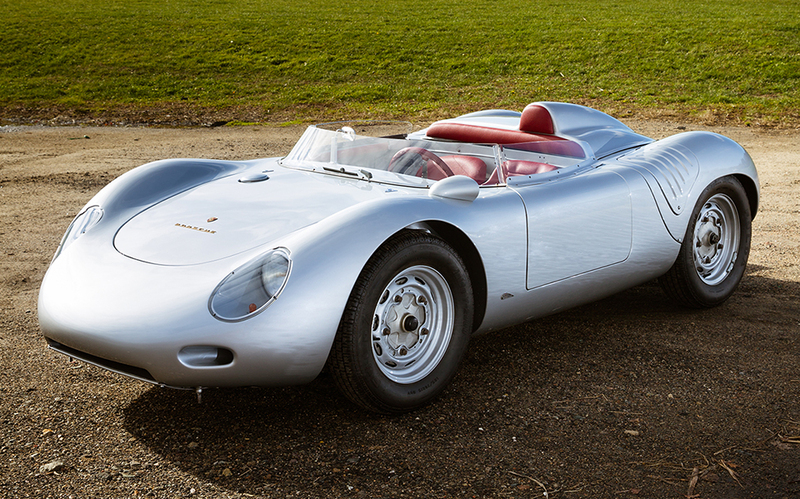 This 1959 Porsche RSK will be offered at Gooding & Company's 2013 Scottsdale Auctions on January 18 & 19. Image copyright and courtesy of Gooding & Company. Image by Mike Maez. One of Porsche’s most significant and beautifully-designed, open race cars, the RSK evolved from the marque’s highly-successful 550 Spyder series. The RSK racing program served Porsche well in the late 1950s, repeatedly seizing class wins at Le Mans, Targa Florio, and the European Hill Climb Championship. One of 37 built, this RSK was delivered new to the Miami-based sports car enthusiast Roy Schechter, who first raced the car that same year in Cuba at the 4 Hours of Alamar where it finished in fourth place. From that point on, this extraordinary, privateer racer was positioned for greatness. At the Courtland Sports Car Races, Schechter and his RSK took home a significant overall win, beating both Jim Hall’s Maserati 450 S and E.D. Martin’s Ferrari Monza. 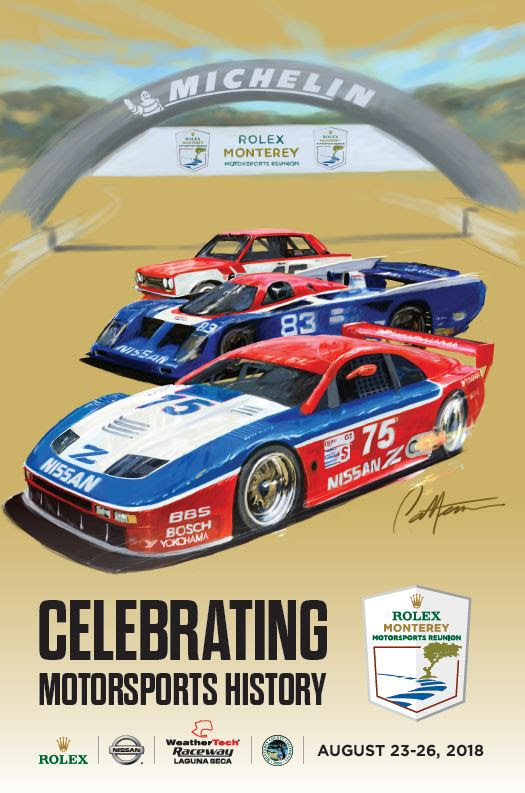 Soon after, the RSK participated in the Nassau Speed Week in the Bahamas, racing in the Governor’s Trophy, Porsche Trophy and the Nassau Trophy. Since its retirement in 1960, it has been restored and inspected by Porsche Historian Jürgen Barth, who appreciated its rare, overall originality, early racing history, and matching-numbers engine. A rarity indeed, the RSK’s estimate is $2,800,000 - $3,200,000. Moriarty Bros. Big Red Found! I have been writing car reviews and whatever interests me in the automotive world since 1984. I have been a certified automotive technician since 1977. I worked for twenty years for the California Department of Consumer Affairs & Bureau of Automotive Repair. I sat on three legislative advisory committes. I currently write an automotive column for the Tracy Press - In The Driver's Seat. I have been a member of the Automotive Journalists Association of Canada and and am a member of the Western Automotive Journalists.